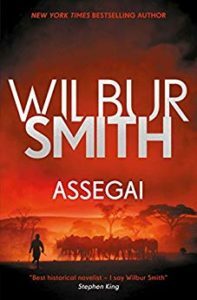 In Assegai by Wilbur Smith we meet young Leon Courtney who is a young officer in Britain’s King’s Rifles. When his successful life and death struggle to survive a brutal native attack actually ges him arrested he becomes disillusioned with military life. His high-ranking uncle convinces him to stay and participate in a special spying mission to try to learn what Germany is planning on the eve of what will be World War I. Taking a job as a hunting guide is the perfect cover. All goes well until he meets the lover of a German industrial giant and things start to unravel.